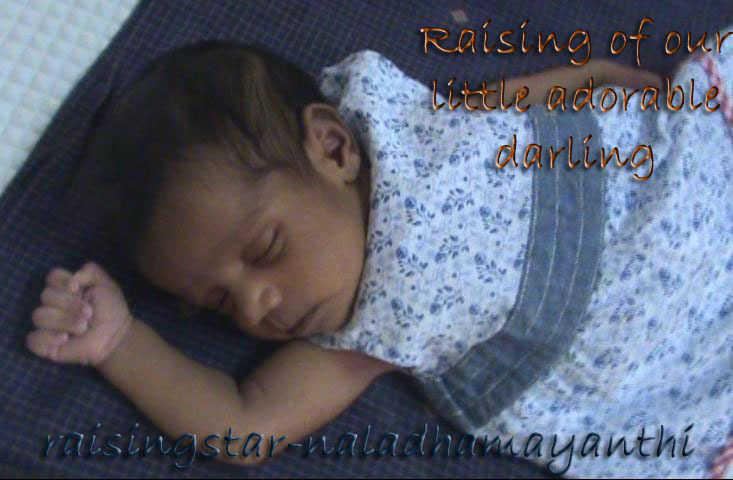 Raising of our little adorable darling: Who is Lion? Check out the below video to know who is Lion? There are two parts, good and bad! Thamizhini's most attracted and interested book is Animals & Birds, she likes to see the picture and used to ask about the animal / birds. And we would say her like, this is Dog and barks like "Bow Bow", this is Cow and makes "Mmmmaaaaaaaaaaaa" and so on. Likewise her Dad had told, "This is Lion" and told how it makes sound. I don't know how to write that sound, but I'm sure you would have heard from the video. Also her Dad had told that, "This is Appa" and he used to ask her, "Appa Yaaru" and my sweetie points out the Lion picture and says "Lion... Singam". Before she started speaking she used to point out picture, but now as she could speak, she tells always "Appa Singam" and "Athu Lion, Appa", even though there is no book to point out. I'm sure she is used to for that question. And as you all know, there is no doubt that this is the good part! Hhmm... Neram d! Ne thaan en best friend -ngrathe prove panre!